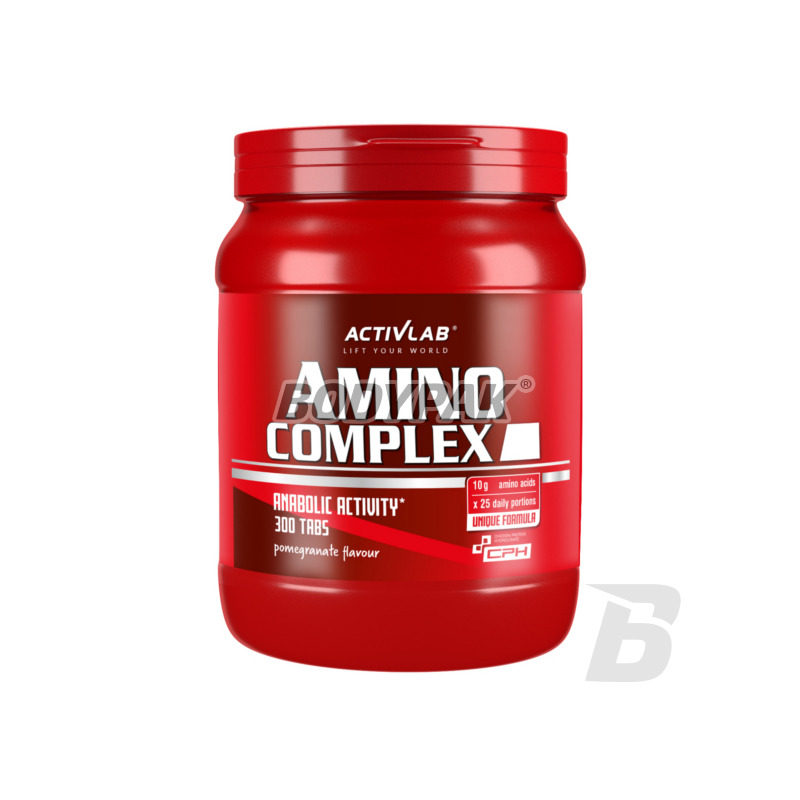 Amino AcidsActivlab Amino Complex - 300 tabl. 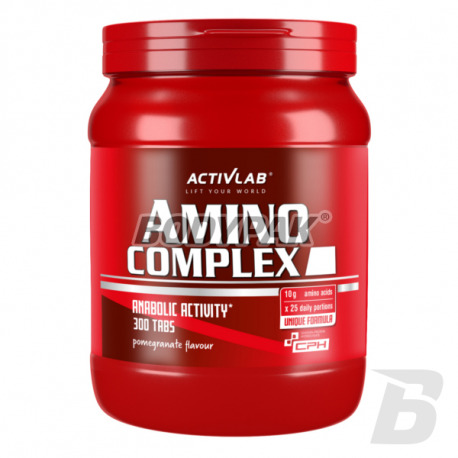 Activlab Amino Complex is a composition of amino acids of the highest quality coming min. whey protein hydrolyzate, chicken protein hydrolyzate, egg albumin and whey protein concentrate. The optimum ratio of BCAA and high-dose glutamine ensures quick recovery after exercise and fat-free muscle mass. Activlab Amino Complex is recommended especially during periods of increased demand for quickly digestible protein of high quality. It is the ideal solution for both people practicing sport professionally, as well as recreational, especially in strength sports, endurance and martial arts, as well as during periods of fat. Bardzo dobra cena i spora dawka aminokwasów w porcji - polecam!